The graph of a wiki system allows for multiple roots (orphans) and loops. 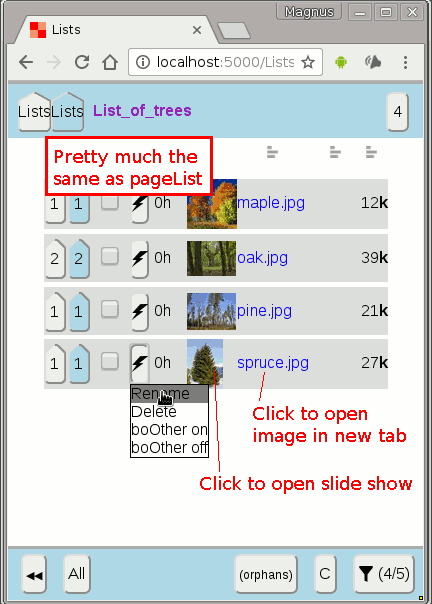 Quickkeys in pageList and imageList makes it easy move "up" and "down" the page graph almost as if it was a filesystem. White colored buttons etc. 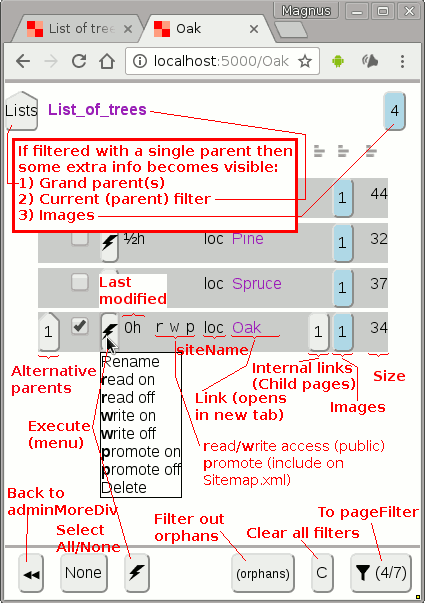 ( ) refers to the pages (pageList/pageFilter). Blue colored buttons etc. ( ) refers to the images (imageList/imageFilter).